Special Offer For Zero Turn Mower. ORDER NOW!!! 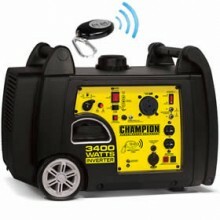 Click the button below to add the Champion 100261 - 3100 Watt Electric Start Inverter Generator w/ RV Plug & Wireless Remote to your wish list.